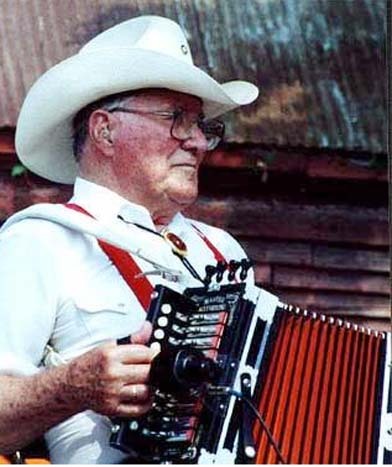 Edwin Duhon (11 June 1910 in Broussard, Louisiana - 26 February 2006 in Westlake, Louisiana) was an American musician and co-founder of the Hackberry Ramblers, a band playing a combination of Cajun music, Western swing, and country music. Duhon formed the Hackberry Ramblers along with fiddler Luderin Darbone in 1933. He first played acoustic guitar and went on to play electric guitar, piano, double bass, harmonica, and accordion at various times. He focused solely on the accordion from the mid-1990s. Duhon's last performance was in November 2005. In 2002, Duhon and Darbone received a National Heritage Fellowship from the U.S. National Endowment for the Arts.